” Lord Shiva gets married to Sati, the daughter of Prajapati Daksh. Sati goes to Her father’s yajna uninvited, and burns Herself in the sacrificial fire as Daksha insults Lord Shiva and Her. Lord Shiva traverses the creation with Sati’s burnt body on His shoulders, dancing the Rudra Tandava. Lord Vishnu cuts the body into pieces by Sudarshana chakra, that scatter on Bharatvarsha in Bhooloka. Lord Shiva refuses to part with Sati, and establishes Himself along with each Pindi as Swayambhu Shivlinga. 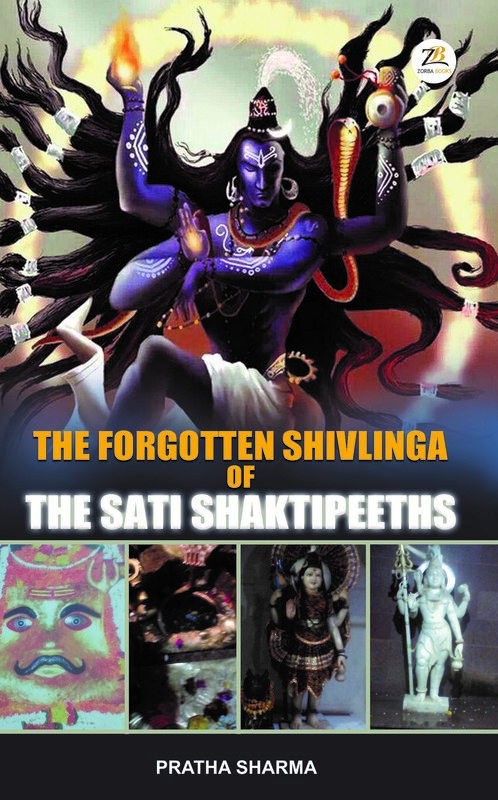 Demon Tarakasura attempts to steal the Devi Pindi, and consequently Lord Shiva appoints Kshetrapal Bhairav to protect each Shaktipeeth from evil, demonic forces. The Shaktipeeths are worshipped, and an unknown span of time passes. Bharatvarsha is attacked by the mlechhas. The temples are attacked, broken and plundered. The Shivlinga is broken, and the Bhairav temple is lost. The Pindi is not visible anymore, and the idea of the existence of the Swayambhu Shivlinga is forgotten. At some places, Goddess appears in the dream of devotees to look up a particular spot where She exists. So, Kalighat temple, Attahas Peeth and Kalkaji temple are rediscovered. As a thousand years pass, the memory of the Swayambhu Shivlinga is lost and forgotten. Mahadev remains bound with Sati Pindi as Swayambhu Shivlinga, and waits to be found and worshipped again at each of the Shaktipeeth temples. The author is a post graduate in Physics, Management, Finance and is proficient in Odissi Dance. She is based in Delhi and sincerely wishes that India regains Her lost glorious Vedic past- with the twin tasks of the revival of the ancient Hindu temple culture and cattle protection. Great work. This book provides a basic understanding of these temples and insight into unknown elements. Certainly marks the beginning of rediscovery of India’s bygone era.